I had never heard of a church based Trunk or Treat until I became a children’s minister a few year ago. To be honest, I wondered if the idea was blasphemous to encourage trick or treating at the church facility. I found out quickly that it was an excellent outreach event to our community. For those of you who have never heard of this or want to know more, then this article is for you! Trunk or Treat may be a great option for a Fall church party or carnival. It could be just the right family friendly outreach event. Keep reading to learn the basics…. 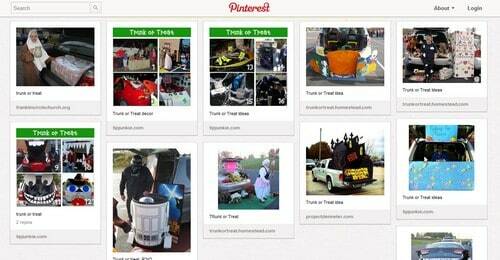 you can also view some trunk or treat decoration ideas on our Pinterest board. 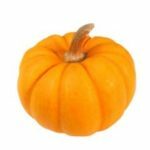 Update 10/31/2011 In some communities, church based Halloween alternatives are becoming more popular than traditional Trick-or-Treating. Update 10/4/2014 Don’t miss our trick or treat Bible Object lessons or other ministry ideas for Halloween. Update 10/19/2019 These events are becoming less common for churches, but embraced by other organizations in the community. For example, our local AMAZON fulfillment center is sponsoring one for the families of its workers. This confirms the need for this kind of event – lots of people just don’t like their kids roaming in unfamiliar places. First, make sure your church is on board with this. Some churches have Reformation parties, others have autumn events or a Fall Festival. As I said, I had never heard of Trunk or Treat before and can only assume it is a regional phenomenon–at the very least it has yet to hit the St. Louis area where I grew up. Second, you will want to get enough trunks (cars) to make at least two aisles of cars in your parking lot. This will depend on the size of your parking lot, but I found that 6 or 7 cars in two aisles facing one another makes for a smoother operation. It keeps the children on your premises a bit longer and allows you to speak more with them and their families. Third, provide hot dogs, chips and sodas. This is an extremely cost-effective way to keep the families around that much longer to be able to evangelize, invite and minister to them. Fourth, have some games to play. (See our Fall preschool games for ideas.) They do not need to be big or involved games. The kids just need to be able to win more candy. You can also hand out gospel tracts as part of their winnings. Make sure that everyone wins every time! Fifth, and finally, rent a bounce house. Inevitably, the church children are going to get bored. This will give them something to do during the festivities. The children from the community will not want to stick around too long because they want to hit as many houses as possible. Be sure you have enough candy and make certain you have fun while doing this. Have fun and redeem the time for the Lord! If you have experience with this type of event, please leave a comment to share your thoughts. What type of games worked best? What other attractions did you offer? Was your congregation uneasy about connecting the church and Halloween? Need More Help? Then read about Trunk or Treat on Kidology or read some tips for planning a church trunk or treat on the Memory Cross blog. Children’s Ministry Magazine also blogged about the Fall Festival idea. Tony Kummer (Editor) reviewed & updated this page on : October 19, 2018 at 7:49 am. All our content is peer reviewed by our readers, simply leave a comment on any post suggest an update.